Dr Leonardi is WONDERFUL. She was very thorough, listened to all of my concerns, and came up with a plan. Theoffice staff (Christina in particular) were so helpful and kind as well. Dr Leonardi is WONDERFUL. She was very thorough, listened to all of my concerns, and came up with a plan. The office staff (Christina in particular) were so helpful and kindas well. Excellent doctor. She spent with me and my husband more than 1.5hr. Explained everything in detailed. 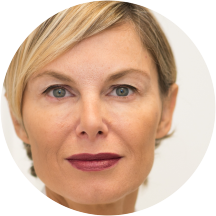 Olga Leonardi is a dedicated and diligent endocrinologist caring for the New York, NY community. Dr. Leonardi obtained her medical degree from First Moscow State Medical University named after I. M. Sechenov. She also completed her residency in internal medicine at New York University and her fellowship in endocrinology at Saint Vincent Catholic Medical Center. Dr. Leonardi is a part of Manhattan Endocrinologist, PLLC. Patients see Dr. Leonardi for a variety of reasons, including endocrinology consultations, Thyroid disorders, diabetes , polycystic ovarian syndrome, osteoporosis, obesity, adrenal disorder , pituitary disorders and hypogonadism. During her consultations, Dr. Leonardi fully explains patients’ conditions and helps them choose an appropriate treatment plan. She is dedicated to helping patients receive the treatment they need so they can enjoy a positive and fulfilling lifestyle. She was very professional and thorough and kind. I see her every 3 months for my Hashimotos. She is always the most patient and caring. Love her! Dr. Leonardi was very attentive and had great bedside manners. As a new patient, she thoroughly reviewed my medical history and recommended the next best steps to continue with my care. Very informative and providing many alternatives to resolve the issue. Extremely professional and pleasant. Wonderful endo for type 1 diabetes. She is thorough, knowledgable, and kind. Really happy to find her! She helps me a lot and she is such a sweet soul. I would not go here ever again. SO PROFFESSIONAL! Super thorough and understanding, took the time i was begging all other doctors to take the time for to finally diagnose me. Dr. Leonardi went above and beyond and just a month into treatment, she has changed my life.I am so grateful for her and her professionalism. She took her time and asked me all the necessary questions that needed to be asked during your first visit. I look forward to the follow up. She’s a wonderful doctor. Her PA is wonderful as well! A little wait but well worth it for a very thorough analysis. I saw two endocrinologists in a short period and I trust Dr Leonardi as she was more aware and attentive to details. Knowledgeable professional with prompt and caring service. She was very polite and thorough woth her diagnosis. Front desk staff, physician assistant and Dr. Leonardi are always thoughtful, prompt and thorough. Dr. Leonardi has great bedside manners and she explains everything thoroughly.. Her office staff are very polite as well and the wait time is 0 to nothing. The best part is that she does the ultrasounds and the tests in heroffice right then and there so you don’t have to waste time going elsewhere for the tests.. I was extremely happy with Dr Leonardi. She listened to me and explained every step of her thoughts so I would highly recommend. Dr. Leonardi took time to listen to my medical history, she was warm, and very informative. Also, I was seen right on time and she was clear with a plan. The front office was also very nice and professional. Difficulty communicating with the office. The staff are unreliable and can be rude over the phone. I will probably change physicians due to the office staff. The doctor is very professional and polite. She explains things in a clear way. The office is quite and pleasant. I would recommend this doctor to my friends. It wad a pleasure meeting Dr. Olga and her staff. The office is clean with relaxed ambiance. I schedule for AM appointment & had very little wait time ( 10mins). Although i don't have prior medical records with me, she tookher time listening to my medical history & present symptoms. She answered all my questions thoroughly & made sure i left feeling at ease. I'm happy to have found a great doctor that's a great addition to my health care team. Has been treating me for years, very professional, always feel confident in her judgment. Very nice to talk to. Very warm and nice. Took a good amount of time to go through medical history. She was great. She took the time to listen, get access to my previous records. The best one she did the bloodwork and ultrasound at her office right away. Really recommend her. Dr. Leonardi is spectacular. I am so relieved to find such a kind, professional, gentle, knowledgeable, and humble (!) endocrinologist who takes my insurance. Thank you to the doctor and her team! Dr. Leonardi was very easy to speak to. She really took the time to listen and explain exactly what I'm dealing with. Very polite and professional. Office was clean and the ladies sitting at the desk were both pleasant. Super efficient. Totally can appreciate a doctor who does their own stick and is quick about it. I was her last appointment for the evening and not once did she make me feel rushed. Dr. Leonardi and her staff took their time with me and was super thorough. She listened. Asked questions. Answered my questions and offered solutions and honest feedback. Great appointment. Dr Leonardi was very thorough. She has a pleasant bedside manner and I highly recommend her. Dr. Leonardi is thoughtful and thorough, our time didn't feel rushed and I felt very comfortable! She 2 great. After seeing several doctors who dismissed my unexplained significant weight gain as hitting my 30s, she immediately was able to pin down my hormonal issues and 1 1/2 years later, I'm back to my normal weight (down 75 lbs) and have more energy than ever! Dr. Leonardi was extremely thorough and detailed. She was extremely kind and patient with all of our questions. Looking forward to having her as my endocrinologist. Would definitely recommend to a friend or family member. Dr Leonardi is a good doctor. She is my endocrinologist since 2016. Everything I need like blood test and especially thyroid ultrasound are available in her facility that i dont need to be referred to other facilty for these procedures. She treats me very well. Dr Olga was very professional. The bedside manners were very good. She examined my medical history thoroughly. Performed tests to narrow down the issue and had a plan for the next 3-4 months about how the diagnosis and treatment would proceed. Dr. Leonardi was personable, thorough, and took my concerns seriously. I'm glad I've found her! Dr. Leonardi creates a very welcoming environment and really considers all the potential options in order to help treat the issue. Dr. Leonardi is a great DR and I am very happy with my treatment form her. I was very surprised, however, when I mentioned slight weight gain to the PA (I'm talking 2-3lbs) with no change in diet (and I am5'7 and a size 4-6) and she asked me if I would be interested in appetite suppressants! That is a totally innaproriate thing to offer a patient who is well within normal-low BMI, and could cause a whole host of other issues. It is no surprise that so many people are over medicated and suffering from all kinds of side effects when this type of thing is happening. Dr. Leonardi seemed very well educated on Diabetes, and the treatment of it. My first appointment went well. All of the expected questions were "asked & answered". Staff in the office were all very nice and treated me professionally. The appointmentwas able to be scheduled sooner than I expected. Beta experience I've ever had with a doctor! No wait time whatsoever, and Dr. Leonardi was extremely thorough and caring in every aspect of my visit. Highly recommend!!!! She always listens and responds to my concerns, rather than just performing a set pattern of tasks which my previous doctor did. Dr. Leonardi was extremely attentive while I spoke. After seeing several doctors about the same problem that none were able to solve, she did a blood test (painlessly!) and wrote out an extremely long, detailed note about what she discoveredand how it was affecting me. I've never had a doctor do that before, and I got the results in 2 weeks. She's a lovely doctor and I'll definitely be booking a follow up with her.